The Foundation invites applications from suitable candidates for the position of OPERATIONS OFFICER. Candidates should have three years working experience in a similar post. The ideal candidate is expected to be motivated and have a positive approach with strong organisational ability and effective interpersonal skills. Experience in managing people would be an asset. 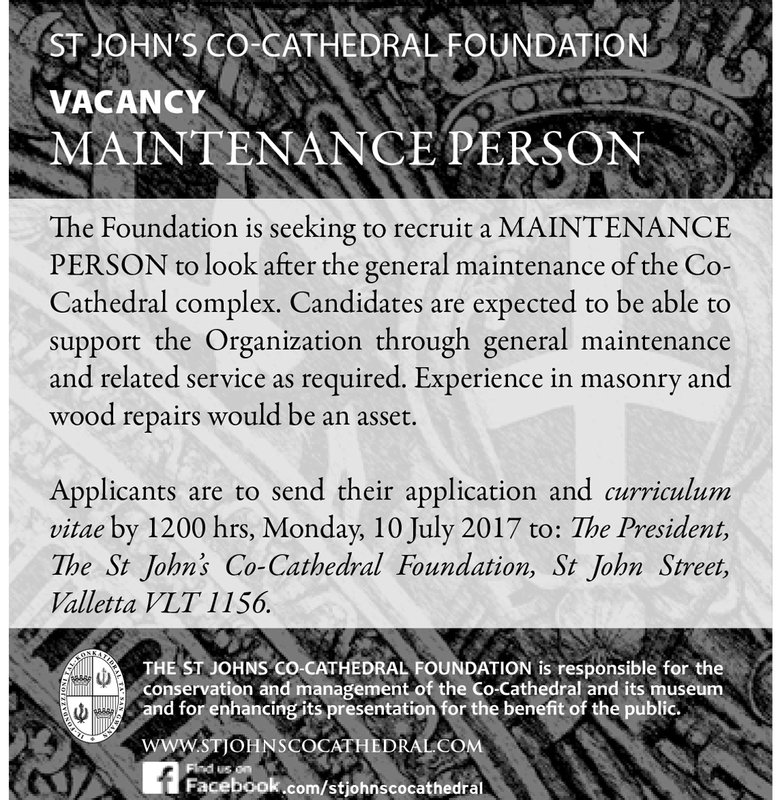 A position description is available from the Administration Office of The St John’s Co-Cathedral Foundation. Interested persons are to send their application together with a detailed curriculum vitae, by 12.00hrs on Friday 6 October 2017. Applications are to be received in sealed envelopes and marked Application – Operations Officer addressed to: The President, The St John’s Co-Cathedral Foundation, St John Street, Valletta VLT 1156.